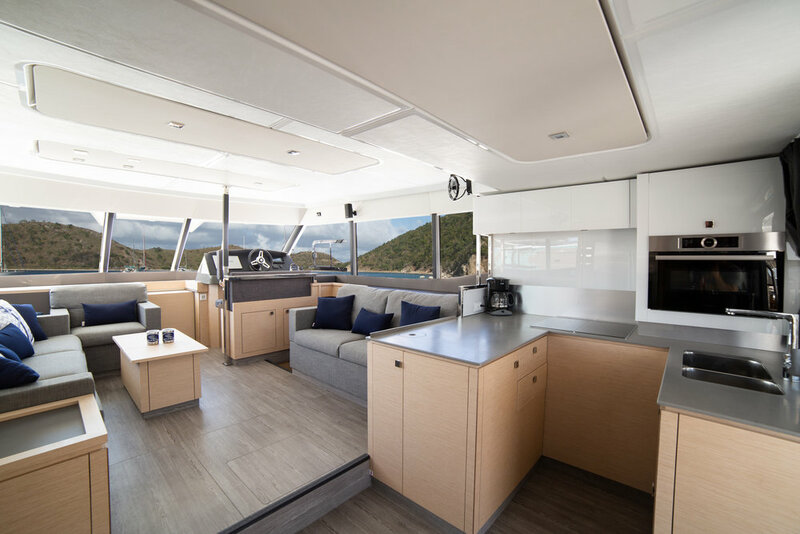 Wild Blue is a new Fountaine Pajot power catamaran available for charter in the British Virgin islands. 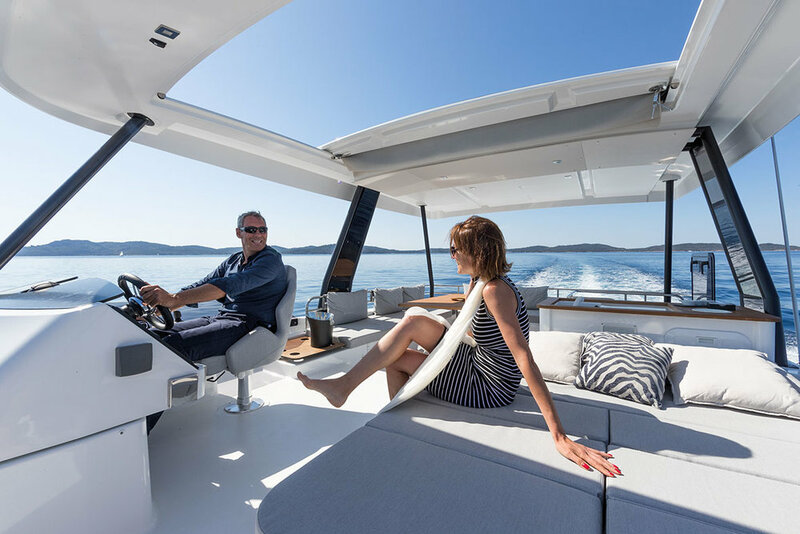 The Fountaine Pajot 44 MY has won acclaim and awards around the world. 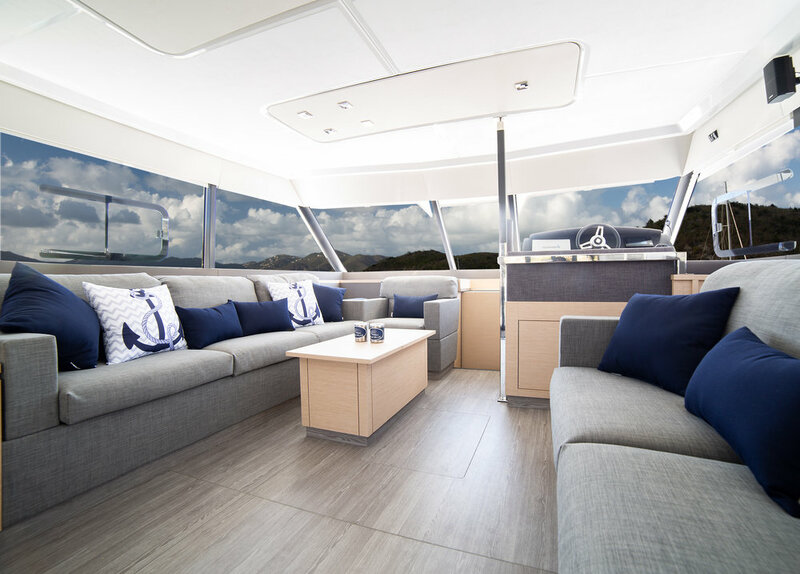 This amazing catamaran is loaded with game changing options. 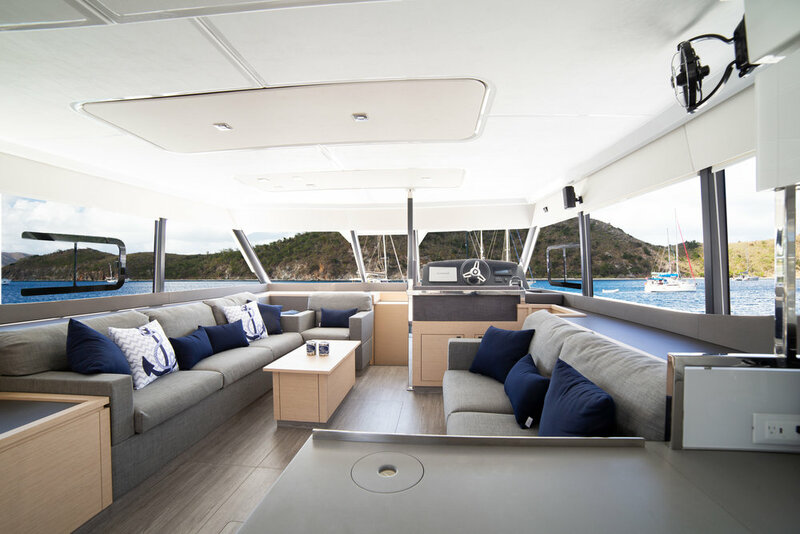 Several features set Wild Blue and the Fountaine Pajot 44 MY apart from all the other charter boats available in the BVI's. 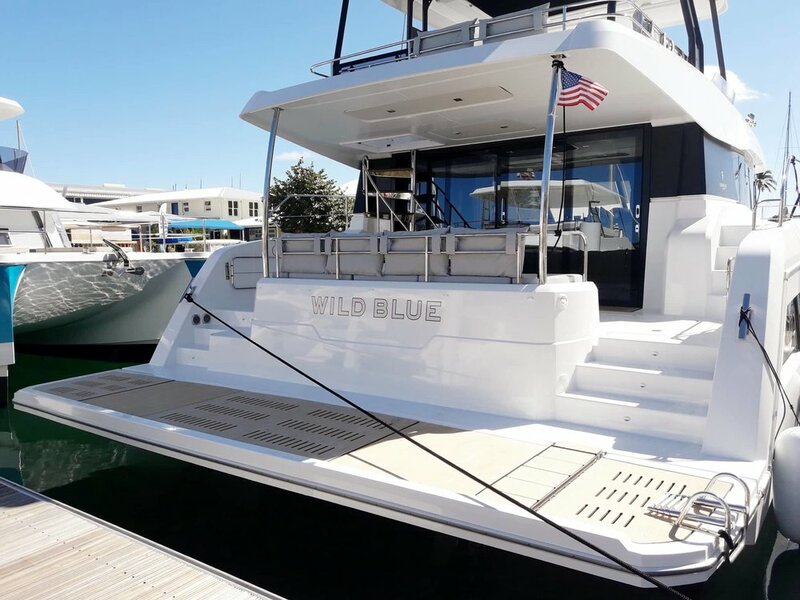 At 48 feet in length, including the hydraulic swim platform, and with very wide beam 21 feet 8 inches, Wild Blue has a huge amount of space for your family and friends. Below are just a few key features that make Wild Blue the power boat to charter in the British Virgin Islands. Wild Blue has a full American sized stand up side by side refrigerator and freezer. Plenty of room for all your food and beverages for long cruises. Captaining Wild Blue is incredibly easy. 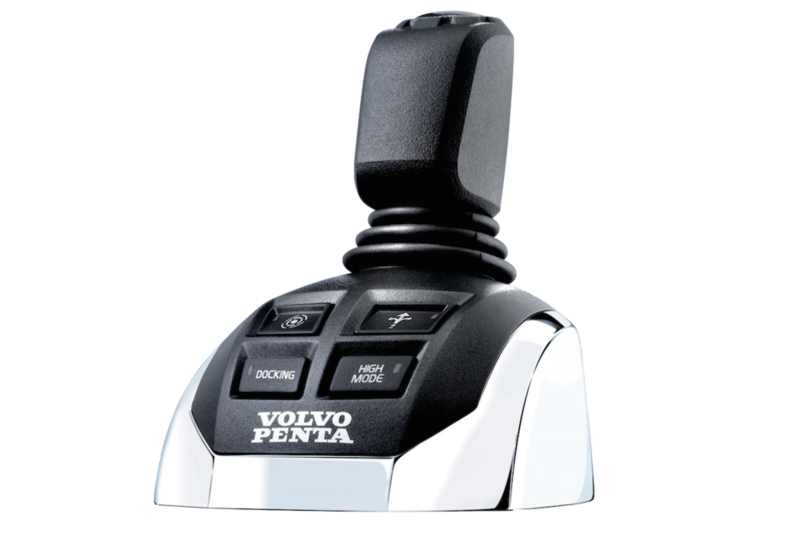 You will look like a pro with the ability to move the boat in any direction with the IPS joystick. Move the joystick to the right or left and the yacht moves to your command. Twist the joystick to turn in a full circle. 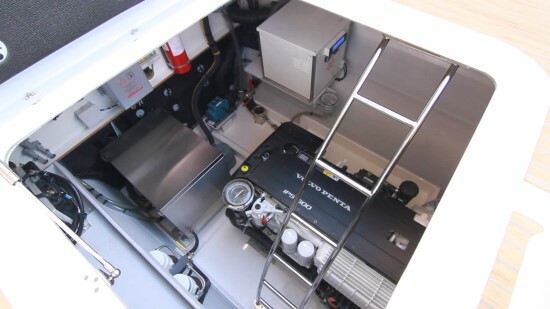 The upgraded twin Volvo Penta IPS 600 engines are both efficient and fast. 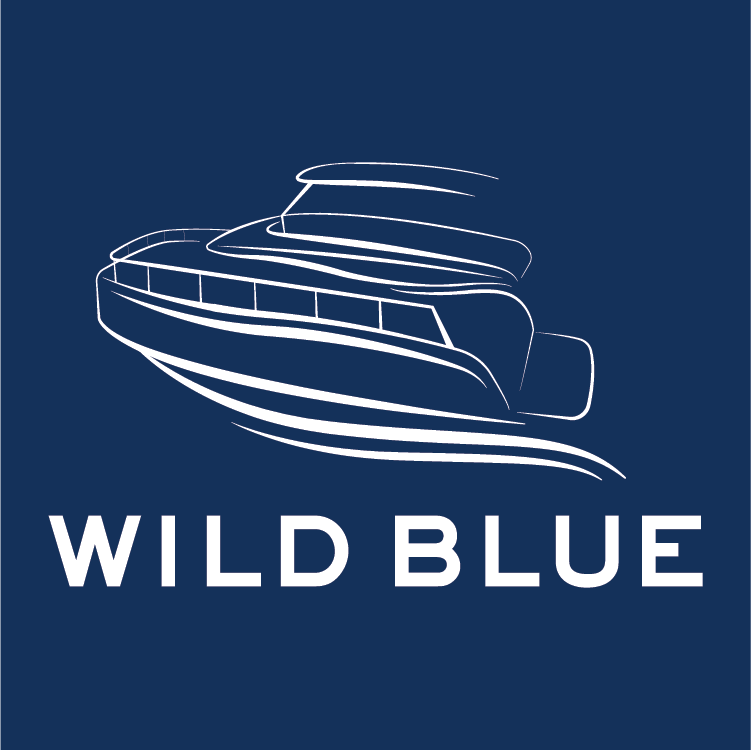 Wild Blue is capable of nearly 30 knots and cruises comfortably at 20 knots. More beautiful beaches and anchorages are with in reach. Never lose a race to a mooring ball again! Wild Blue has an amazing amount of interior space. 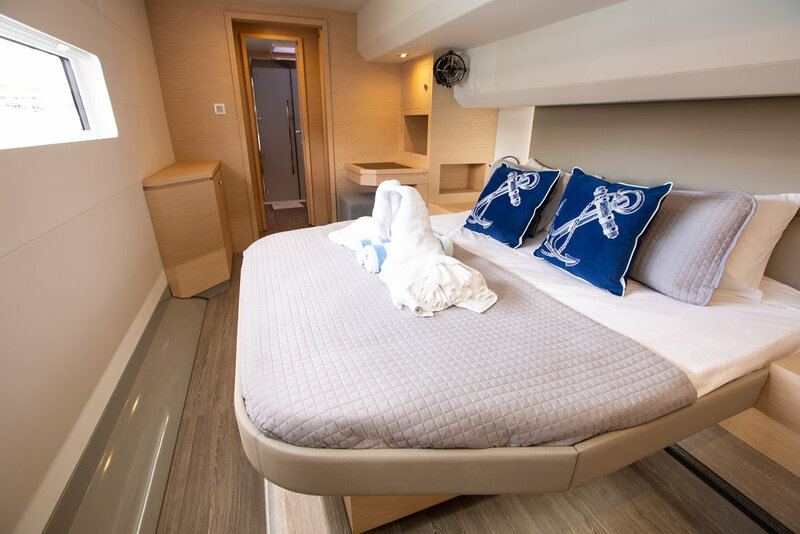 An apartment size master stateroom. 4 cabins and 3 full baths with walk in showers. This yacht can comfortably sleep up to 8 people. You want sun. She wants shade. You can have them both under this hardtop with the retractable sunroof. Take a dip in the ocean using the swim platform as your beach. When the platform is down, steps deploy back to the boat for ease and safety. The full beam hydraulic platform makes launching your tender a breeze. 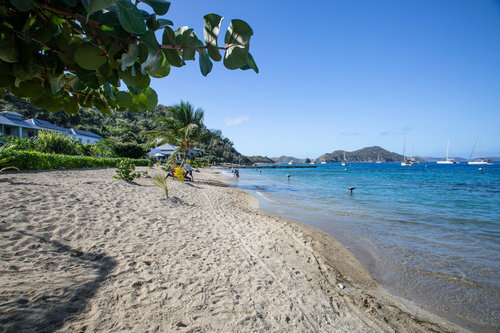 The British Virgin Islands are a boaters paradise. Crystal blue protected waters. Line of site navigation. Mooring balls at every stop. Amazing anchorages with world famous beaches and restaurants. Many accessible only by water. If you are a boater, you simply have to come check it out. Charter our yacht and head out into the Wild Blue. Our partner in the BVI's is Virgin Charter Yachts. Specializing in powerboats, their service and attention to detail is second to none. Tell them Wild Blue sent you. CHARTERS MAY BE BAREBOAT OR CAPTAINED. EMAIL US OR CLICK ON THE LINK FOR CHARTER INFOMATION.